The vessel was named Khankendi by the President of Azerbaijan, H.E. Ilham Aliyev, at a ceremony in Baku Shipyard and launched by the Shah Deniz consortium. 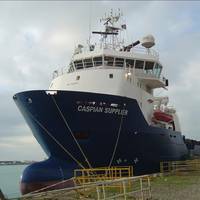 Baku Shipyard LLC, a joint venture between Keppel Offshore & Marine Ltd (Keppel O&M), State Oil Company of Azerbaijan Republic (SOCAR) and Azerbaijan Investment Company (AIC), has completed a Subsea Construction Vessel (SCV) for the Caspian region. 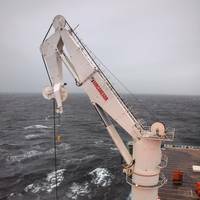 The Khankendi will be deployed to the Shah Deniz field where it is expected to perform subsea installation and construction work over the next eleven years. 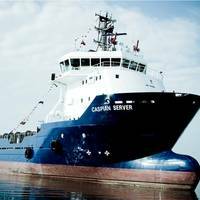 Offshore support vessel company Topaz Energy and Marine informs it has secured 14 offshore support vessel contracts with BP Exploration (Caspian Sea) Limited. Under the terms of the agreement, Topaz will supply 14 offshore support vessels for a five-year period plus two one-year options at current market terms, primarily in support of BP’s ACG and Shah Deniz II fields offshore Azerbaijan. The agreement extends currently running contracts for the 14 vessels until 2023 including all options. These contracts bring Topaz’s global revenue backlog to nearly $1.4 billion. Topaz Energy and Marine, a leading offshore support vessel company, has secured 14 offshore support vessel contracts with BP Exploration (Caspian Sea) Limited ("BP"). Under the terms of the agreement, Topaz will supply 14 offshore support vessels for a five year period plus two one-year options at current market terms, primarily in support of BP’s ACG and Shah Deniz II fields offshore Azerbaijan. The agreement extends currently running contracts for the 14 vessels until 2023 including all options. Keppel Offshore & Marine Ltd (Keppel O&M)'s local and overseas subsidiaries continue to win support from repeat customers by securing four contracts worth a total of about $88.5 million. In Singapore, Keppel O&M's wholly-owned subsidiary Keppel Shipyard Ltd (Keppel Shipyard) secured two conversion contracts - the first is for a Liquefied Natural Gas (LNG) Floating Storage Unit (FSU) vessel awarded by Armada Floating Gas Storage Limited, a wholly-owned subsidiary of Bumi Armada Berhad (Bumi Armada); the second is for a Floating Production Storage and Offloading (FPSO) vessel awarded by Yinson Production (West Africa) Pte Ltd (Yinson), a wholly-owned subsidiary of Yinson Holdings Berhad. Work on the LNG FSU conversion for Bumi Armada is scheduled to be completed in 3Q 2016. Offshore Prospects for 2016: Playing the Waiting Game? This year, the offshore oil and gas industry has had to come to terms with the worst downturn for more than a decade. With commodity prices plummeting to an 11-year low in December, market research and consulting firm Douglas-Westwood (DW) reflects on the year gone by and considers the outlook for the year to come. Offshore rig markets still have a lot to digest before recovery. Rig dayrates have plummeted as a function of significant oversupply. Many of these rigs were ordered in the previous up-cycle, but have only recently entered the fleet at a time when the appetite to drill is poor. Statoil delivered Adjusted earnings of NOK 22.4 billion and adjusted earnings after tax of NOK 7.2 billion in the second quarter. Statoil reported Net income in accordance with IFRS of NOK 10.1 billion, including gains from divestments. "In the second quarter, Statoil delivered encouraging operational performance with good production growth and high regularity, whilst continuing to reduce cost. Our financial results were characterised by gains from divestments and lower prices. 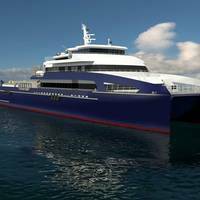 Incat Crowther announced the launch and sea trials of Muslim Magomayev, a first-of-type 70m Catamaran Fast Crew Boat (FCB). 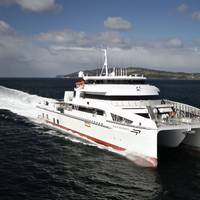 Constructed by Incat Tasmania, Muslim Magomayev is compliant with IMO HSC code and complete with a crew transfer system consisting of dynamic positioning equipment class (DP2) coupled with a walk-to-work stabilized access platform. The vessel’s operation includes fast crew transfer for 150 offshore workers to multiple offshore installations. The hull design is optimized for high speed transits with a maximized operability envelope and low incidences of sea sickness. 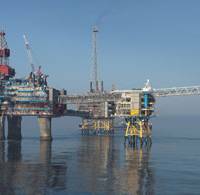 Statoil's second quarter 2014 net operating income was NOK 32.0 billion, a decrease of NOK 2.3 billion compared to the second quarter of 2013. Adjusted earnings were NOK 32.3 billion. 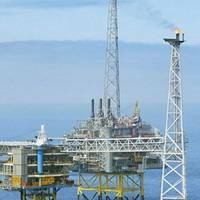 “Statoil delivered solid operational performance in the quarter, with continued high production regularity on the Norwegian continental shelf and project execution according to plan. We have deferred gas production to enhance value, but remain on track for delivering on our production guiding for 2014. Our quarterly earnings were impacted by divestments, seasonal effects and lower gas prices. Statoil's second quarter 2014 net operating income was NOK 32 billion, a decrease of NOK 2.3 billion compared to the second quarter of 2013. Adjusted earnings were NOK 32.3 billion. “Statoil delivered solid operational performance in the quarter, with continued high production regularity on the Norwegian continental shelf and project execution according to plan. We have deferred gas production to enhance value, but remain on track for delivering on our production guiding for 2014. "Our quarterly earnings were impacted by divestments, seasonal effects and lower gas prices. Total today signed an agreement to sell its 10% interest in the Shah Deniz field and the South Caucasus Pipeline to TPAO, the Turkish state-owned E&P company. The transaction is valued at $1.5 billion and is subject to customary approvals. 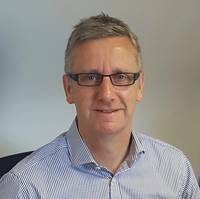 “The sale of our interest in Shah Deniz is in line with Total’s active portfolio management and the focus of its investment capability on more strategic assets,” said Michael Borrell, Senior Vice-President Continental Europe and Central Asia at Total’s Exploration and Production. “This sale is another step forward in achieving our asset sale program. 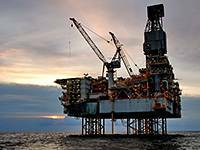 On May 1, 2014 Statoil completed the farm down of 10% of its interest of 25.5% in the Shah Deniz Production Sharing Agreement and the South Caucasus Pipeline Company Limited to BP (3.33%) and SOCAR (6.67%). The consideration for the sale and transfer of these assets is USD 1.45 billion. The divestment that was announced in December 2013, is in line with Statoil’s strategy of portfolio optimisation based on rigid prioritisation of future investments, and capturing value created from a significant gas position. 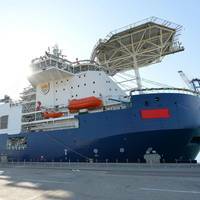 Keppel supported Baku Shipyard has won a first major contract from BP Exploration (Shah Deniz) Ltd, the operator of the Shah Deniz gas field development, to design and build a Subsea Construction Vessel (SCV). The contract is worth US$378-million, say the shipyard. When completed, the SCV will be deployed for the Stage 2 development of the Shah Deniz field, which lies some 70 kilometres offshore in the Azerbaijan sector of the Caspian Sea. 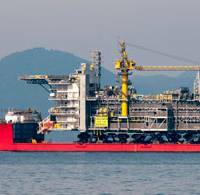 The Shah Deniz Stage 2 project requires a subsea installation vessel to install the subsea structures over 11 years between 2017 and 2027. Azeri state energy company SOCAR's shipyard and British oil major BP have signed a $378 million deal to design and build a subsea construction vessel for the Shah Deniz II gas project, BP said on Wednesday. Azerbaijan's biggest gas field, Shah Deniz is being developed by consortium partners BP, Statoil, SOCAR and others. Shah Deniz I has been pumping gas since 2006 and has an annual production capacity of about 10 billion cubic metres of natural gas. The next phase, Shah Deniz II, is important for Europe in terms of providing an alternative to gas supplies from Russia's Gazprom. Reuters - Greece launched an international tender on Monday for a study to assess the feasibility of a proposed pipeline to transmit gas from Israel and Cyprus in an effort to reduce dependence on Russian supplies. The Eastern Mediterranean Pipeline is designed to initially carry 8 billion cubic meters a year of Israeli and Cypriot gas. It would stretch from Israel's Leviathan natural gas field to Greece and onto European markets through the IGI-Poseidon pipeline, led by Italian utility Edison and state-controlled Greek utility DEPA. The European Commission has said Cypriot gas could play an important role in diversifying supplies but its development is complicated by the long-standing rift between Cyprus and Turkey. The pipeline would pass through disputed waters. Statoil's fourth quarter 2013 net operating income was NOK 43.9 billion. In 2013, net operating income was NOK 155.5 billion. At today's Capital Markets Update, Statoil presents its plan for reduced capital expenditure by more than $5 billion (USD) from 2014-16 compared to previous plans. This will enable positive organic free cash flow after dividend from 2016. Statoil expects to deliver around 3 % average rebased organic production growth from 2013-16. Adjusted earnings for the fourth quarter of 2013 were NOK 42.3 billion, compared to NOK 48.3 billion in the fourth quarter of 2012. Topaz Energy and Marine has announced the acquisition of two large and modern Anchor Handling Towage and Supply Vessels (AHTSV) at a purchase price in excess of $100 million (USD). The vessels, the Caspian Challenger and the Caspian Endeavour, are sister vessels built by Kleven Maritime in Norway in 2008 and 2009, respectively. 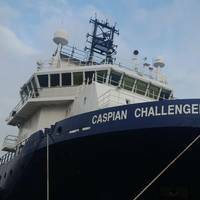 The vessels are equipped with dynamic positioning DP2, automated safe anchor handing capabilities and are currently the most powerful vessels operating in the Caspian basin at 17,200 BHP and 190 metric tons bollard pull. Statoil ASA has together with partners in the Shah Deniz consortium in Azerbaijan made a final investment decision for the Stage 2 development of the Shah Deniz gas field, in the Caspian Sea, offshore Azerbaijan. Statoil also enters an agreement to divest a 10% share of its 25.5% holdings in Shah Deniz and the South Caucasus Pipeline. The BP operated Shah Deniz consortium announces the final investment decision for the Stage 2 development of the Shah Deniz gas field, in the Caspian Sea, offshore Azerbaijan. This decision triggers plans to expand the South Caucasus Pipeline (SCPX) through Azerbaijan and Georgia, to construct the Trans Anatolian Gas Pipeline (TANAP) across Turkey and to construct the Trans Adriatic Pipeline (TAP) across Greece, Albania and into Italy. Topaz Energy and Marine, a leading offshore support vessel company with primary operations in the Middle East and Caspian, today announced the win of two contracts with BP in Azerbaijan’s largest oil and gas fields worth approximately $100 million (USD). Topaz has acquired two European built Platform Supply Vessels (PSVs) to serve the contracts which stretch over five years, including options. 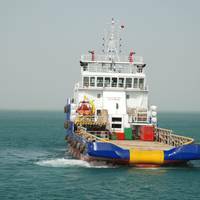 The boats will be deployed in Q4 2013 and Q2 2014 in support of BP’s operations in the Azerbaijan offshore fields of ACG and Shah Deniz 2 performing supply duties. Incat Crowther announced a first of type 70m Catamaran Fast Crew Boat (FCB), compliant with IMO HSC code and complete with a crew transfer system consisting of dynamic positioning equipment class (DP2) coupled with a stabilized access platform. Construction of the vessel has commenced at the shipbuilder Incat Tasmania, with delivery scheduled for September 2014. The vessel will operate as a fast crew transfer vessel for 150 offshore workers to multiple offshore installations.